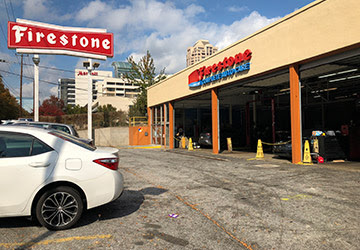 The Firestone store at 3369 Lenox Road in Buckhead has closed. While exact plans for the site have yet to be made public, Parker G. Blanchard of Blanchard Real Estate, who purchased the property last year, reportedly plans to tun it into a retail only development. The parcel, which is just under half an acre, sits at the corner of Wright Avenue and Lenox Road, across from the J.W. Marriott Hotel and adjacent to the Atlanta Buckhead Marriott Hotel & Conference Center. Fulton County property records indicate that the approximately 16,000 square foot Firestone building was completed in 1966 and is valued at about $2,000,000. Blanchard's website indicates that the replacement building will be 8,500 square feet. Blanchard paid a reported $5 million for the site. An adjacent property between the Firestone and the Marriott was announced in 2015 to be the site of an upcoming 25 story, 352-unit apartment development, but has thus far remained dormant. Despite previously indicating that the planned replacement would be retail only, sources tell ToNeTo Atlanta that a number of quick-serve restaurants have expressed interest in the site. Among those that have reportedly expressed interest are Chick-fil-A and Starbucks. Given the extremely high purchase price, many real estate observers speculate that in order to get an acceptable return on his investment, Blanchard may need to go vertical at the site, with perhaps restaurant or retail at the base, and office or residential on top. 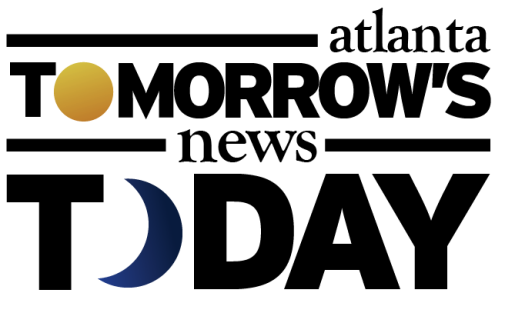 Blanchard has a number of other planned or new projects underway around Atlanta including one at 1671 Howell Mill Road and Dawson Marketplace in Dawsonville. The Howell Mill site, currently home to a 98-year-old church, is reportedly being eyed for a Starbucks. ToNeTo Atlanta first noticed the "Development By" signs at the property in December 2016. [Local sources say the signs had already been up for months before then.] The property last sold in late 2016 for $925,000. Now, over a year later, more neighbors seem to have taken note, and real estate site Curbed recently published an article on the potential development. No firm plans have been made public and there are no permits for the site on file with the City of Atlanta. The Sanctuary Village of Power church currently sits on a .4 acre parcel. Wilson Development Group, Blanchard's partner in the Howell Mill project, has the site listed on its website as a "retail pad" while the Blanchard site describes it as "5,000 square feet available," but does not specify its intended use. Both Blanchard and Wilson have plenty of experience developing and redeveloping retail, restaurant and even banking properties. Popeyes, Starbucks, Mattress Firm, Walmart, Lowe's, Freddy's, Krystal, Dunkin' Donuts and Family Dollar are among the companies with whom the two firms have done business. ToNeTo Atlanta readers will recall one of Wilson's other recent local developments. Last year Wilson redeveloped a former Checker's restaurant into a new multi-tenant building on Peachtree Boulevard in Chamblee that now houses a Jimmy John's, Pizza Hut and at&*t.
The idea of a Starbucks replacing the historic church does not sit well with some neighbors, but is in line with the coffee company's current growth strategy. There is already a Starbucks in Selig's The District at Howell Mill, but it is without an all-important drive-thru. If a Starbucks were to happen on the church site, it would likely be dependent upon a SLUP (Special Land Use Permit) being approved for the use of a drive-thru at the site. If approved, the District Starbucks would likely close. The area around the church property is already quite congested, and a number of new businesses have opened in the area over the past few years. Jimmy John's, Fidelity Bank and Advance Auto Parts have all opened on Howell Mill since 2013. A controversial QuikTrip across the street from the church site, in the works since 2012, is expected to open in the coming weeks. While Atlanta is still in the "Bible Belt," the proliferation of "megachurches" like North Point Community Church, Buckhead Church, 12Stone and New Birth Missionary Baptist Church, among others, have led to the closure of many smaller, more local churches around metro Atlanta. Rehoboth Presbyterian Church on Lawrenceville Highway closed in 2016 and today sits idle. Sanctuary Village of Power's website seems to indicate that the church was at one point hoping to purchase the 1671 Howell Mill building, but has since moved on to pursue another property. It's unclear when the church will be forced to vacate their current home.  What would you like to see happen to the two sites? Do you think Atlanta does a good job of preserving historic structures? Are you pleased with the site adjustments made to the QT near the Howell Mill property? Interesting that they just got the iconic "Firestone" neon sign full operational again and they are going to close. I guess I will have to snap a shot quickly before it is torn down.